After a lot of delightful drawing time during the Fumetto Festival in Lucerne I got back into the plain black and white image. I as well started banning the pencil from my sketchbook lately what made an huge impact on my digital drawing. The last days where occupied by self initiated editorial work, what I really enjoyed working on. 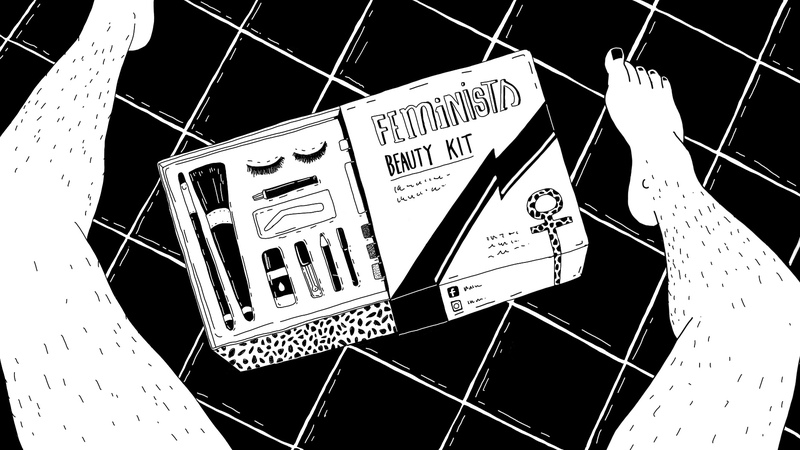 This is a piece I did for an article about the original thoughts of feminism and nowadays beauty ideals.